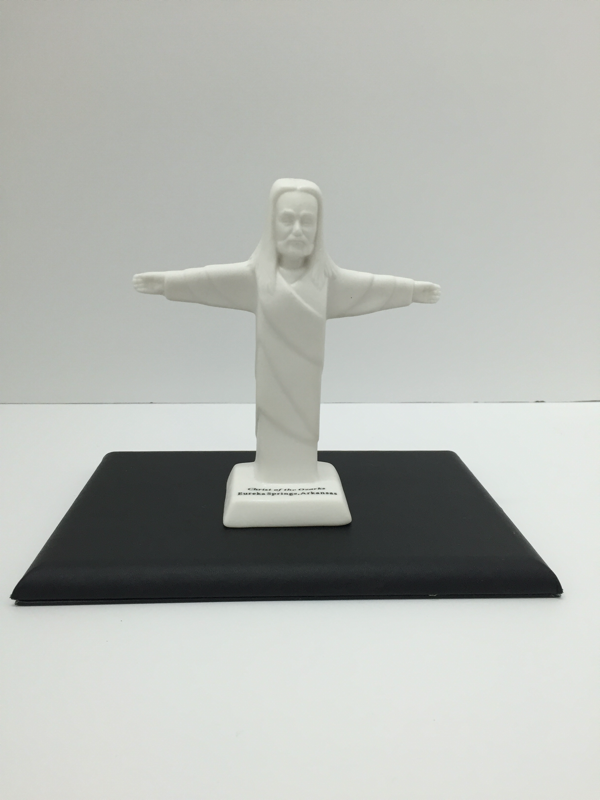 Click here to submit your picture of the Christ of the Ozarks, Holy Land, or Play. 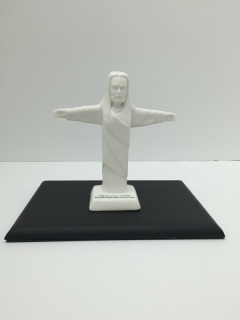 Click here for high resolution pictures of the Christ of the Ozarks. In appreciation of a gift of any amount, you can light the Christ of the Ozarks for one night "In Honor of..." or "In Memory of..." a friend, loved one, or church. Click below to light the Christ of the Ozarks in memory or in honor of someone you love. All donations are tax-deductible since the Foundation that runs the Play is a 501-C3 nonprofit organization. Every inch of the remarkable sculpture was built by hand. No poured segments were used in the statue's construction. At an altitude of 1500 feet, the statue is made of 24 layers of white mortar on a steel frame and weighs over two million pounds. The foundation, which is virtually welded into the rock of the mountain, required 340 tons of concrete interlaced with steel. During construction, the framework of the statue was completely surrounded by scaffolding. Workers had to build an elevator up the side of the framework in order to reach the statue's higher segments. Taller than most humans, the hands from wrist to fingertip measure approximately 7 feet. The statue's arm spread from fingertip to fingertip spans 65 feet and its overall height is 67 feet.